Ahead of tonight’s onslaught of game releases is Impending’s Hatch ($2.99), a virtual pet we’ve been posting about for quite a while now. 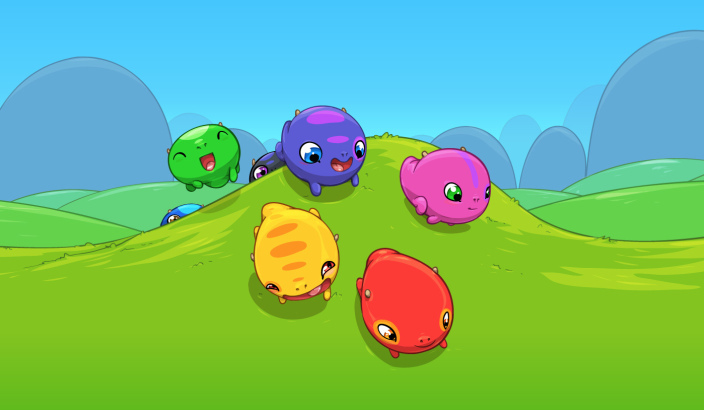 In the app, players adopt a creature called a Fugu and do Tamagotchi-like things such as making sure its fed, cleaning up after it, and cleaning up after it. I’ve been playing around with Hatch for the past week or so, and while this definitely isn’t something that I’d typically spend a lot of time on, I can definitely see the appeal- Even in its current super-simple state. While all you can really do right now is feed your Fugu, customize his area with unlockable rugs, and buy other toys to play with like a camera that your Fugu will photo bomb. Juli over at MacRumors really likes it, as does Zac over at 9to5Mac. I’m not sure how to really review it as a game as its gameplay elements are somewhat limited right now with promises of more content and functionality in the future. As soon as Jared wakes up we’ll finish recording our multi-day TA Plays of Hatch, which opens with a hilariously unexpected turn of events. Stay tuned.